There's a lot on the internet about what constitutes the best SEO plan template, and a lot of it is obsolete thanks to frequent changes in search engine technology. In this article we look at some evergreen SEO techniques that give quick results whatever the current search landscape looks like. Keyword Research: get this wrong, and the SEO effort is wasted! Bear in mind when reading these SEO tips, however, that we are creating online content for people and not machines. It just so happens that machines are the combination gatekeepers / librarians that help people find the content they need. Luckily for us, the machines are getting as smart as the people they serve; at least in limited domains like search engine technology! In my book The Anatomy of a Blog Post, which is a quick, easy, and above all cheap read, I pick apart a blog post to see what makes it attractive to search engines. While the book is aimed at bloggers, it really applies to all kinds of online content that is used to inform and/or persuade a visitor. Keyword Density - too much, and it will feel unnatural, too little and the search engine might to "get" what the content is about. Image alternate text - in order to help search engines know what the picture is about, using keywords. There are others, but by concentrating on these 7 key areas, you will automatically enhance the attractiveness of your page to search engines, and by extension, your readers. This is somewhat harder to pull off, and requires careful planning, as well as a reasonable investment in time and effort. So much so, that people often neglect to do it actively; which is good news for you, because you're going to put in the effort, right? The key to understanding off page SEO is remembering that modern search technology is based as much around reputation and popularity as it is content. It's no coincidence that the original Google algorithm was called BackRub: it has always based its results on measuring the relative authority of a piece of content based on incoming links. Social bookmarking: with the implicit scope for browsing that services like Stumble Upon provide to their users. With these in mind, it is clear that the success of each tactic depends on the quality of your keyword research. If you don't structure your content around something that begs to be Retweeted or shared, then there's little point in posting it across the platforms in the first place. 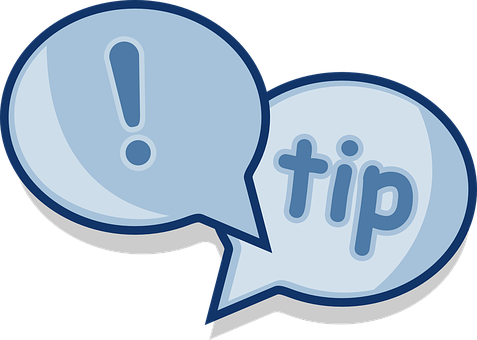 Here's a tip: use a scheduling service like Buffer, or Meet Edgar to help manage your off page SEO activities that involve social media. Not only will they take the pain out of sharing across multiple platforms, but they will also pick the very best times to post on your behalf! I share the views of a number of SEO professionals that keyword research has become less about looking for individual, specific, keyword phrases, and more about finding keyword themes that indicate interest in a topic. That's not to say that you should ignore specific phrases, but that you only need to mention them once or twice, and theme your content around them, letting search engines do the work in deciding what other content of value you are sharing. Search engines are smart enough to work out when you're keyword stuffing, and also smart enough to figure out when you're using synonyms. However, keyword research is important in making sure that you are writing about the topics that your target market wants to know about; how else are they ever going to find your site? The good news is that keyword research doesn't have to be over-complicated. My keyword research and niche content book Niche Blogger Content Blueprint goes over the niche discovery and exploitation process in some detail. Do comparative research to work out which represents the best mix of volume, competition, and relevance. If you want to give the process a quick run-through without reading the book, then there are also some free keyword research tutorials such as the popular "Finding Profitable Niche Markets" available on this site. Export the "ideas list" into a spreadsheet, and sort first by the Suggested Bid and then by Search Volume. presenting the "money niches". Rinse and Repeat to Taste! Now that you understand the components of an SEO strategy, let's look at a simple process that you can go through to make sure that your SEO holds up. Remember, though, its a template: you will need to add stuff to it to make it work for you. Everyone's needs are different, and there's not point pretending that one plan will work every time for every site. Regularly Perform an SEO Audit! This post has been pretty information rich, and I encourage you to engage with me on Facebook and/or Twitter to get some free advice and insight into your specific keyword research and SEO needs.